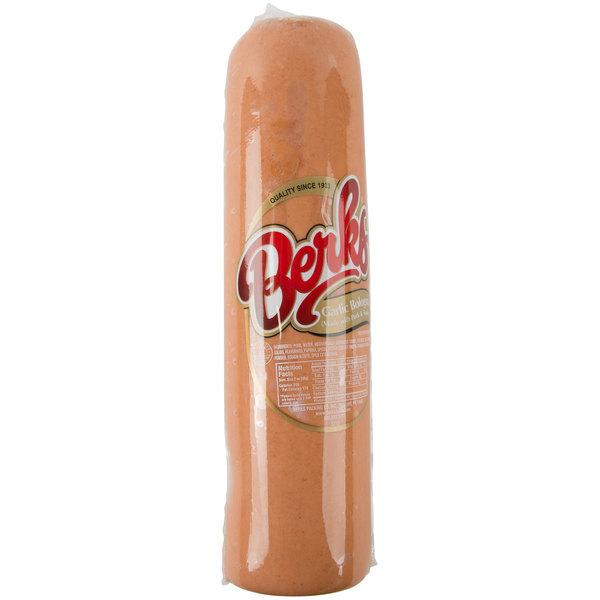 Prepared with an authentic, old-world recipe and an assortment of high-quality meats, this Berks 3 lb. 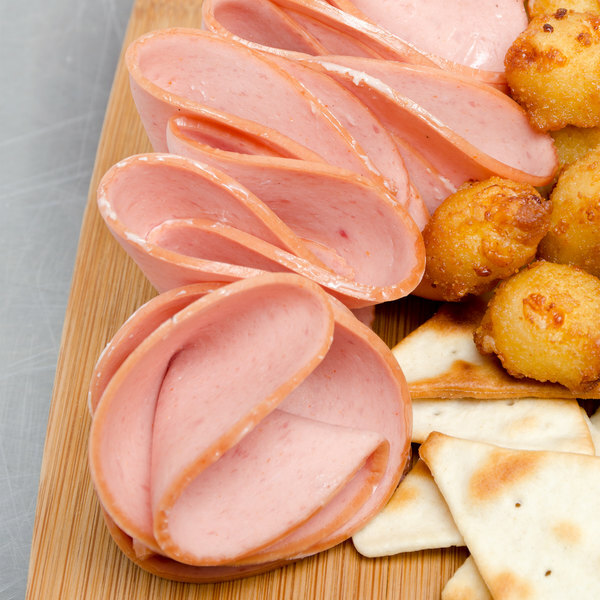 garlic straight bologna boasts a subtle, woodsy flavor punctuated with zesty garlic seasoning. And because it's smoked to perfection, sweet and rich hickory undertones permeate each bite, too. This packs the bologna with a savory, well-balanced flavor profile, making it the perfect ingredient in countless, hearty dishes. Plus, it's succulent and tender, creating textural depth when paired with sauteed onions, stacked on a toasted pretzel roll, or fried with melted cheese. However you prepare it, it's sure to add juicy, robust flavor to any meal. For easy slicing and efficient service, this bologna is formed into a consistent round shape. Cut it into thick slabs for your signature fried bologna sandwich or into thin slices to upgrade grilled cheese. The meat is even perfect served on a charcuterie board however you slice it! Thick or thin, this bologna provides great versatility to any menu. I am very HAPPY to be able to buy these 3lb Garlic Bologna. I can cut it just the right size and the flavor is great! 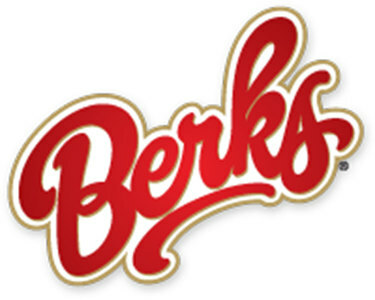 we use the berks brand a lot.if you are someone who likes garlic then you will like this.try cutting 1/4 slices and frying it 3 minutes on each side.